Comprehensive Security in Finland is a unique nationwide project that began in the centennial year 2017 which was full of events presenting different security organisations. Project Sleep easy brought together all the principal actors in the field of security: the authorities, non-governmental organisations, companies and citizens, for the first time. The partners included voluntary defence and security organisations, veteran organisations, and authorities and government agencies such as the National Board of Education, the Ministry of the Interior, the Ministry of Defence, the National Emergency Supply Centre, the Customs, the Police, the Rescue Services and the Emergency Response Centre and, locally, the Red Cross and the Voluntary Rescue Service Vapepa. The project, which is aimed especially at young people, seeks to increase general awareness of overall security and motivate citizens to engage in voluntary defence and security efforts. Key priorities in the project are to pass on the veterans’ heritage and prevent social exclusion. At the same time, the project seeks to reinforce collaboration among those involved with comprehensive security and establish comprehensive security as a hallmark of Finland’s country image. To a great extent, this not-for-profit project will be implemented by volunteers, and the percentage of work carried out without any compensation is high. The initiative for the project came from voluntary defence organisations. 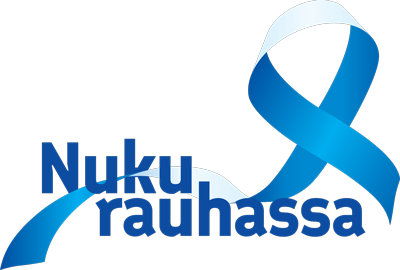 The responsibility for financing and managing the project rests with Maanpuolustuksen Tuki and its affiliated associations. The project was approved for inclusion in Finland’s Centennial Year programme with the status of an extensive cooperation project. The project included then ten comprehensive security events to be held in various parts of Finland, four expert seminars and a multifaceted inclusive media campaign. Organisations that took part in the project Sleep easy in the centennial year 2017 decided to continue with the project. This year one event is going to take place within the project at the Varvintori square in Turku from 24th to 25th of May. The campaign theme is SLEEP EASY, and it is designed to ensure that everyone in Finland can feel safe.